DONATE to Together for Yes with one click. 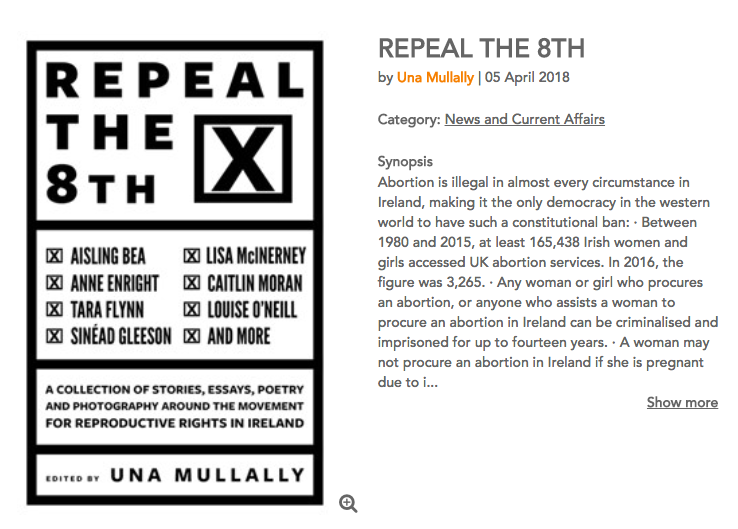 PRE-ORDER Una's Anthology, Repeal The 8th by clicking above. Want to get involved? Click here to sign up with Together for Yes & you'll find there are SO many ways to give time to the campaign. Find us on Soundcloud, I-tunes & Stitcher! Listen, Subscribe, GIVE US 5 STARS & tell your pals! Make SURE to follow us on all of our socials. (Icons above & below.) We'll be posting regular updates, links to podcast content & loads of craic. Do your ears a favour (after you listen to the podcast, of course) & check out Elaine Mai. Her track 'Enniscrone' is our tune! Click on the photo & you will be transported.